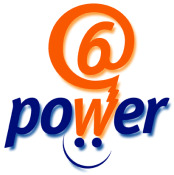 The main goal of the 6POWER project is to contribute to ensuring affordable broadband access and the deployment of IPv6 in Europe, as stated in the conclusion of the Presidency from the Barcelona European Summit. See the Objectives. In order to achieve this goal, the project will research the native support and deployment of IPv6, QoS and other advanced services over Power Line Communication networks, following a specific work plan. The PLC technology deployed in this project is intended to provide up to 45 Mbps (rather than 2Mbps, that is the data rates provided by some vendors in some European countries nowadays) and to support QoS features to the upper layers (IPv6) through well-defined and standarized interfaces. The project will support emerging technologies like VoIPv6, and advanced "next generation" digital set-top-boxes. The project is directed at IPv6 and related aspects of research, together with deployment and tests with real users, to secure the scalability of both the network and the applications in order to prepare for a reliable and secure wide scale commercial operation in the future, and will be active in dissemination and linkage activities, with other related Foras and Projects, including IPv6 Forum, 6Link, IPv6 Cluster, and other events related to IPv6, PLC, and related technologies, in order to publicize the project results. Most of the project deliverables will be made publicly available (documents) in this pages. Do you know a related new, event or web site that is not in our pages ? Please, tell us ! You are using IPv4 (54.82.119.116). "6POWER is a part-funded EC (IST-2001-37613) project. The information/views generated by the project may not completely align with those of the individual participating companies or The European Community. Although the project's information/views are considered accurate no responsibility will be accepted for their subsequent use."